When Lewis Carroll climbed Alice down the rabbit hole in 1865, he had no way of knowing that he had created a permanent fixture on our Western pop culture landscape. Lewis Carroll’s creation has always been popular as a subject for illustrators. This illustration is from way back in my undergraduate college days. One of the fellows in my class put a book together of Alice in Wonderland and most of my class illustrated one drawing for him. 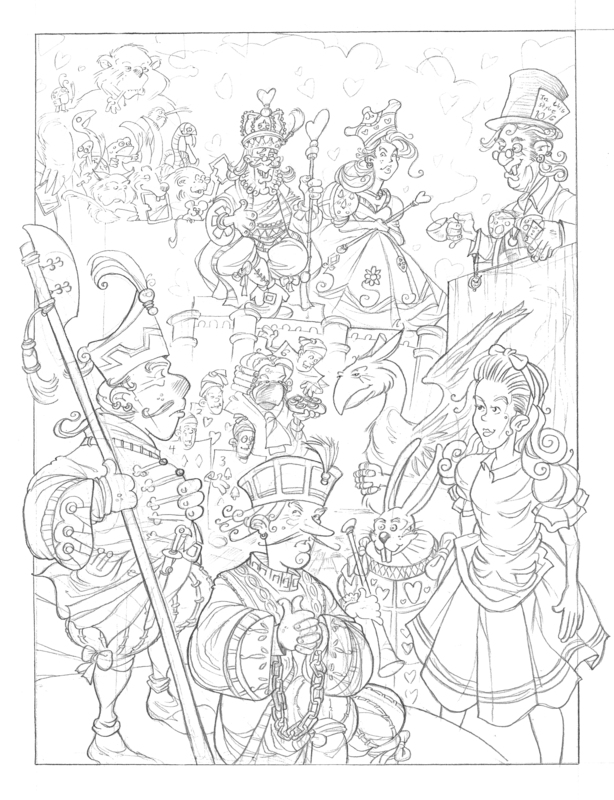 No one wanted to draw the trial of the Knave of Hearts, so I volunteered to draw the trail. Almost every creature from Wonderland is present in the courtroom. 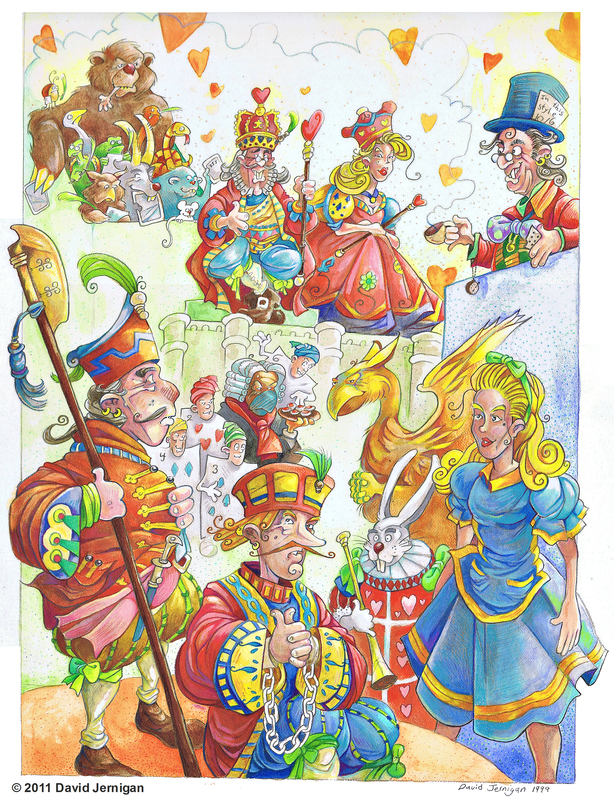 The King and Queen of Hearts are sitting together in the judge’s box, while Alice looks on. I don’t think the illustration turned out as well as it could have. Alice looks too old and the colors are fighting with each other. I colored it with colored pencils. I found the drawing tucked in a dark corner and thought it should see the light of day, once again. 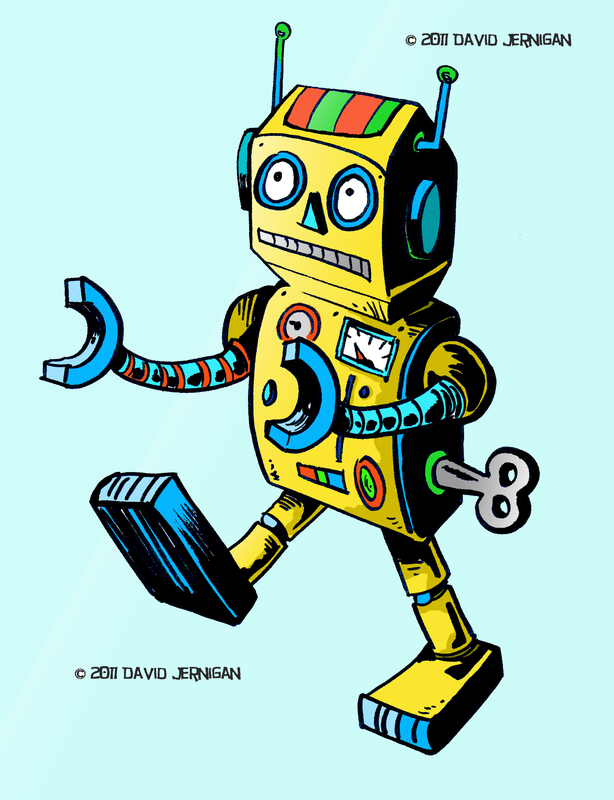 This is the last of three retro robot drawings I created. I created the drawing with pen and ink. The color is applied in Photoshop. I’ll have to try another subject for my next sketch. I’m sure someday soon I will return to the subject of retro robots. 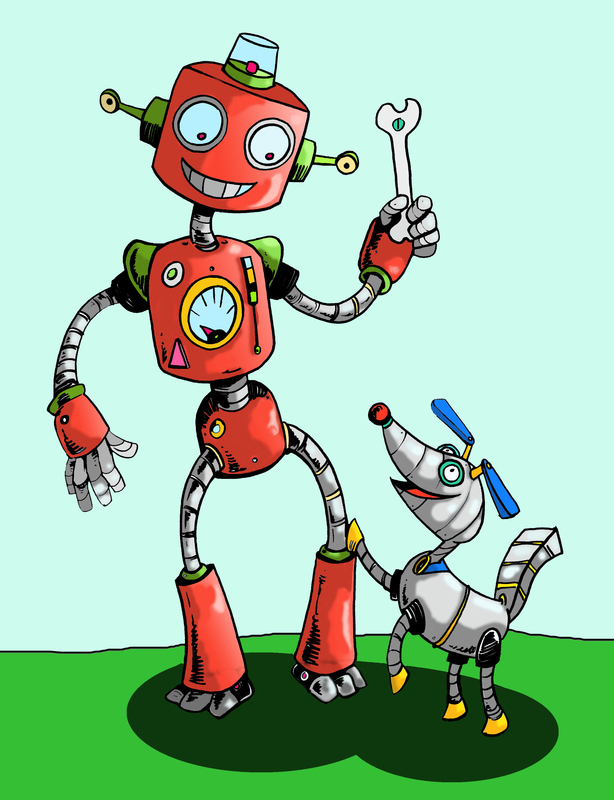 Here is the second of three retro robot drawings I created. This drawing is made with pen and ink and the color is applied in Photoshop. I came up with this robot’s design after looking at some 1950′s toy robots. I have always been a fan of B-Movies from yesteryear and of pulp science-fiction in all its wonderful forms. 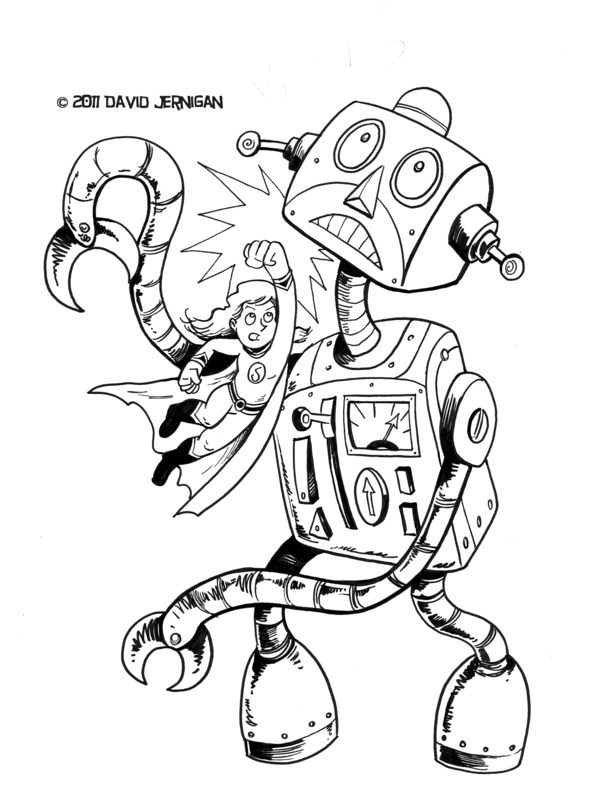 Here is the first of three retro robot drawings I created at work when I was supposed to be doing something else. It had been a while since I drew a retro robot. I tried some flashy color in Photoshop. 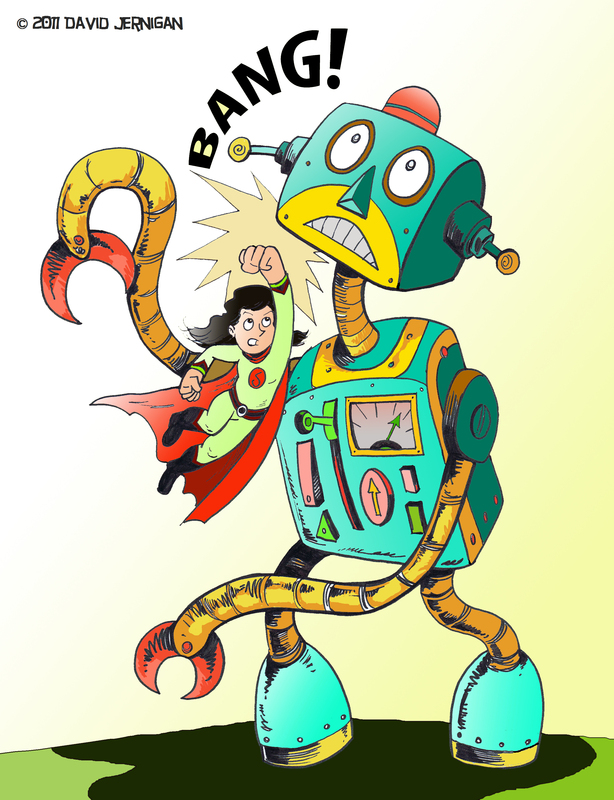 This first one is an image of a superhero girl battling a robot. I have always been a fan of B-Movies from yesteryear and of pulp science-fiction in all its wonderful forms. Here it is my drawing of one of the merfolk. 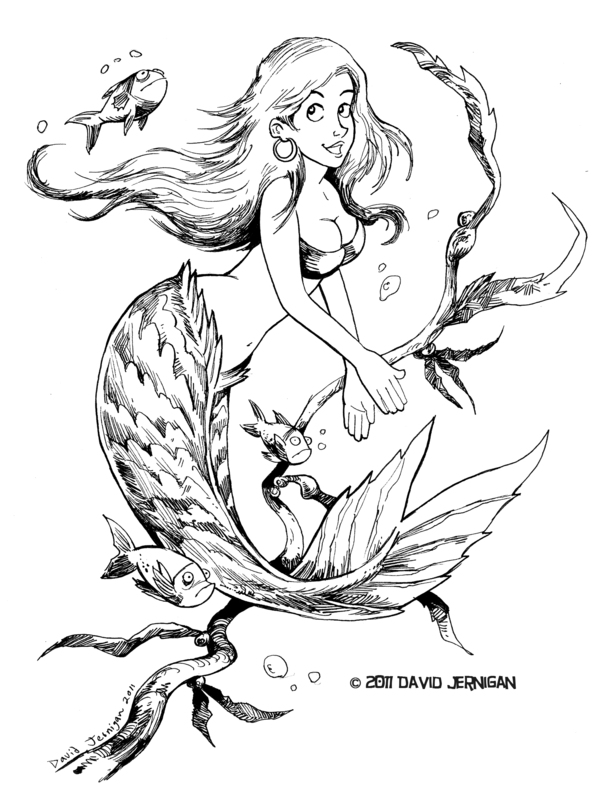 This mermaid ended up looking a great deal like the Little Mermaid, particularly in the facial features. I am working on some nautical tropical themed drawing for a client and had a sudden urge to draw a mermaid.